Tied at 73 points apiece with the number-one ranked LSU Tigers in the NCAA’s SEC Conference quarterfinal, the Aurora native was given the ball at the top of the three-point line with just seconds remaining on the clock. He hit nothing but net, with exactly one second remaining, to pull of the incredible upset. The shot heard ‘round the state officially sent the Gators to the prestigious NCAA March Madness tournament: something Nembhard told NCAA.com “felt great,” to put it lightly. Nembhard, who attended Vaughan Secondary School through his first two years of high school before finishing out his high school career at a prep academy in Florida, is no stranger to the spotlight: he was thrust into the starting point guard position at Florida this season in just his freshman year, and has shared the court and the spotlight on plenty of occasions with former teammate R.J. Barrett, projected to go second overall in this year’s NBA draft. 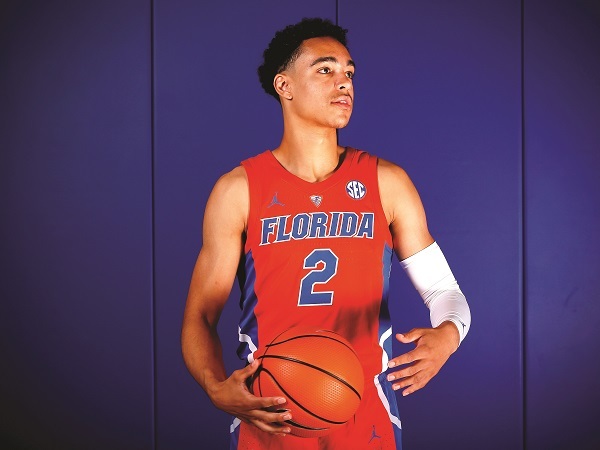 Yet it is the six-foot-five Nembhard, who average just over eight points per game in his first season with the Gators, who now owns the lion’s share of the spotlight: and is the number-one guy on the court called on to make shots like Friday’s buzzer-beater. After the game, Nembhard was also named to the SEC’s All-Freshman team. This year’s March Madness will feature Canadian talent almost unheard of in the fan-frenzy tournament, Nembhard being one of nineteen Canadians to book a ticket to the big dance.